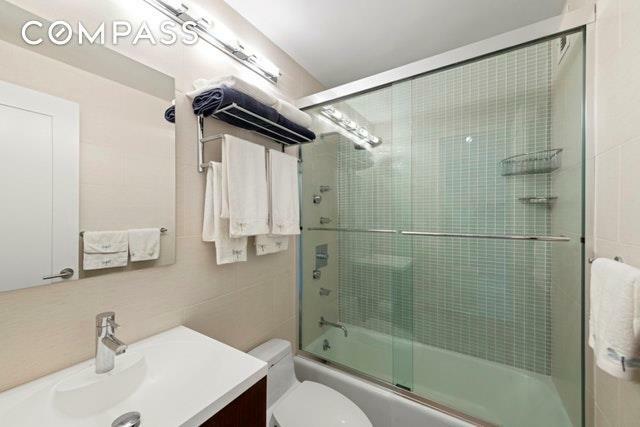 Bright and quiet 1 bedroom/1 bathroom in The Grand Chelsea Condominium is located in the heart of Chelsea. Move-in ready, recent renovations include kitchen, bathroom and flooring.The kitchen with incredible storage space, granite counters and backsplash, stainless appliances and seating at the breakfast bar.The bedroom accommodates a king size bed and has an updated and modern en-suite bathroom. There is new flooring throughout and the foyer has a large walk-in closet that is fully built-out to maximize storage. 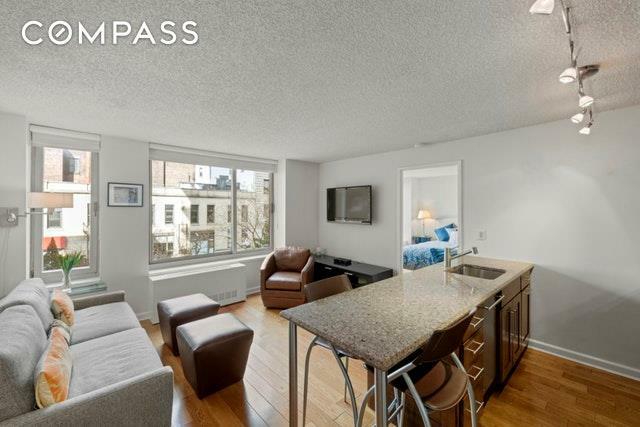 This property features oversized windows facing north, offering tons of light throughout the day.The Grand Chelsea features a full time 24 hour doorman, full time maintenance staff, two elevator bays, and a laundry room. 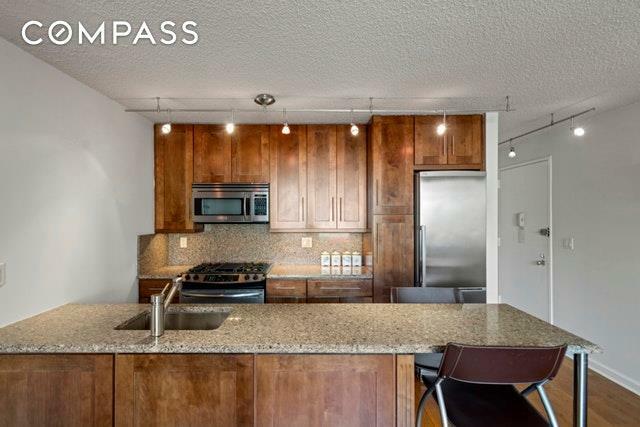 Additionally, there is a giant furnished sundeck on the south side of the building for residents use.The location is fabulous having numerous transit options, shopping, gyms, grocery and terrific restaurants nearby. 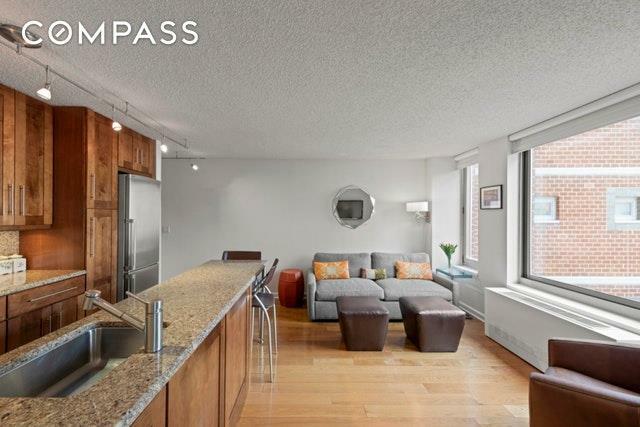 The Highline, Meatpacking District, Union Square, and West Village are also very close. Happily shown by appointment.